2005 Pierce Dash Pumper. Waterous 1500gpm pump, 750 gallon booster tank. 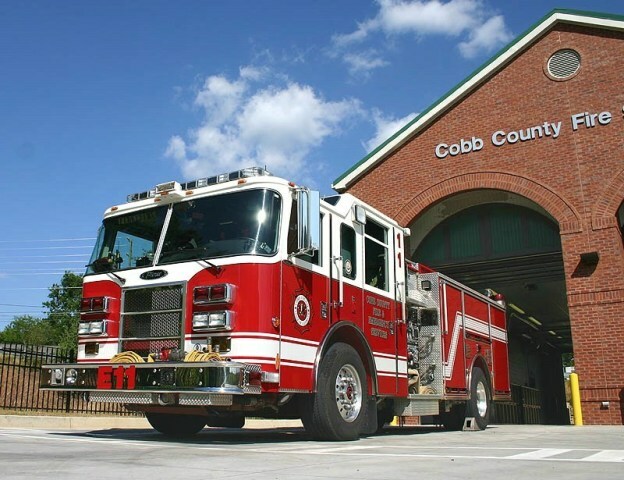 Currently assigned to Cobb County, Ga. Fire & Emergency Svc. Sta. #11 in Acworth, Georgia. USA. "New: station #11 was opened in Feb. 2006.